A peak event for Arts Access Aotearoa is the Arts Access Awards, held in Parliament every year. Here, we present awards to leaders who inspire and enable access to the arts for people with limited access. This includes stakeholders in the disability sector and in the Department of Corrections. By the time the judges and event organisers have completed the myriad tasks required to pull off an event involving more than 230 guests, along with 30 presenters, performers and recipients on or around the stage, plus technicians and media, the view from the top provides a fresh perspective and stocktake about what arts activities and programmes in Corrections are achieving. Two leadership awards are presented to Corrections staff and community leaders who have demonstrated excellence in service delivery and programme standards. It’s true to say they have "demonstrated and delivered” but the core purpose of these two awards is to recognise the award recipient’s leadership. Leadership of the type recognised in these awards can’t be condensed into a list of skills or measured against key performance indicators. Previous recipients and those who received their awards on 29 July are people who contribute beyond the usual requirements of their role. They do something beyond merely delivering. We acknowledge their leadership because they have thought outside the norm and, through consistent effort, have provided exceptional innovation. Leaders are catalysts for institutional, social or individual change. They do more than provide "extra effort”, which in and of itself is to be rewarded. Their behaviour is combined with unique ingredients of character. They inspire and add to change through their actions, their words and in the way they live their lives. The experience of art-making, whether it’s painting a picture or writing a song or poem, is a tool that can connect offenders to a positive activity. Better still, it can awaken a positive and inherently creative part of the individual. Art activity enabled and repeated often enough can be a game-changer. Corrections staff play a vital role in the success of art being utilised in prisons to support rehabilitation and in the community to help keep offenders from re-offending. I hope you enjoy reading about this year’s Arts Access Award recipients, including those in the community who have been catalysts for social change in respect to prison arts this past year. You can read about Sandra Harvey and her vision for the arts programme at Northland Region Corrections Facility here [provide link]. Sandra is this year’s recipient of the Arts Access Prison Arts Leadership Award. Highly Commended in this category are Wiki Turner, Hawkes Bay Regional Prison, and Jason Carlyle, Principal Case Manager, Corrections Services. 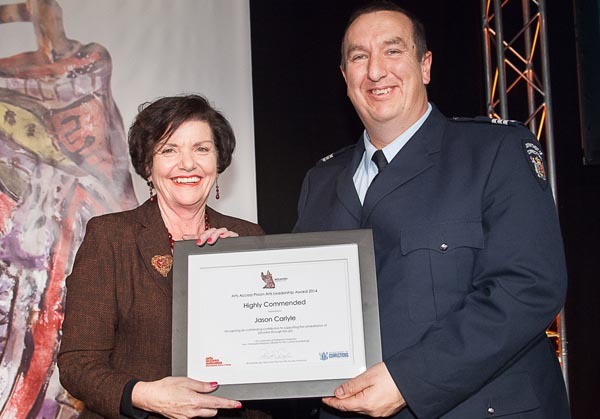 The Arts Access Prison Arts Community Award goes to Auckland Council’s Hibiscus and Bays Local Board for its partnership with Corrections in using prisoners’ carvings and artworks to beautify the local community. A3Kaitiaki in Dunedin are Highly Commended in this category, recognising its contribution to reducing re-offending through the use of tikanga and Maori cultural arts. All staff of Corrections who assist in the many aspects of the delivery of art in Corrections get a big thank you from me. Original generation time 1.7105 seconds. Cache Loaded in: 0.0366 seconds.